Need to fix your Please Chairs? Generally these chairs just need a single part replacement – the gas lift may no longer work or maybe the mechanism needs changing? For Steelcase Please 1 or Please 2 style chairs – we can check and fit new gas lifts, change the fabric (either to repair torn fabric or for a change of colour. ), change the chair mechanisms, arms and armpads, just to name some of the repairs. – We do a thorough assessment of the chair to be able to restore it – ‘as new’. 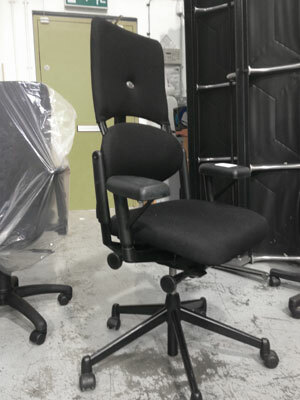 This entry was posted in Chair Repair & Reupholstery and tagged please chairs, re-upholster, refurbish, repair, steelcase chairs, steelcase please chair on 23 Apr 2014 by admin.